Michael Rosenak is Mandel Professor of Jewish Education at the Hebrew University of Jerusalem (Emeritus). He has been teaching and writing on philosophical and theological aspects of Jewish Education for the past fifty years. In recent years, he has focused his attention on the problem of translation from universal knowledge and usage into an idiom that speaks directly to the Jewish tradition and seeks ways of articulating the Jewish tradition – as a faith and a culture. His books include: Commandments and Concerns: Jewish Religious Education in Secular Society; Teaching Jewish Values: A Conceptual Guide; Roads to the Palace: Jewish Texts and Teaching; On Second Thought (Heb. ); Tree of Life, Tree of Knowledge: Conversations with the Torah, as well as numerous articles and studies. "These six elegant and beautifully written essays remind the reader of the power of ideas and the great depth of Michael Rosenak’s thinking. 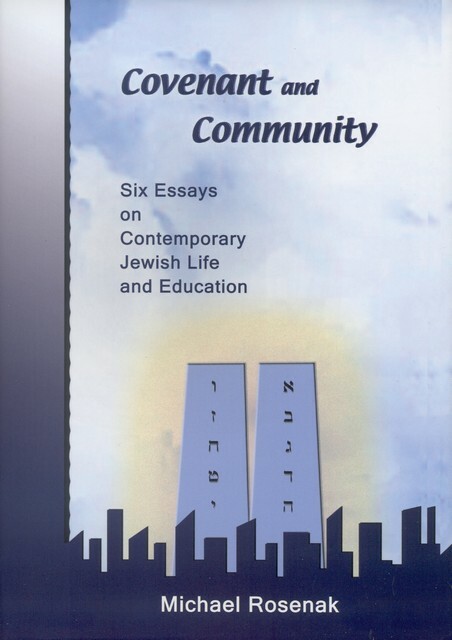 Investigating key themes of his long and distinguished career as teacher, scholar, mentor and philosopher, Rosenak touches upon some of the core issues of contemporary Jewish life and teases out the implications for education in our time. As always, he asks the most interesting questions and guides his readers along a path of understanding and exploration."